Real Madrid ran over Deportivo in a 7-1 win at the Bernabéu this Sunday afternoon, in a game where Nacho, Bale and Ronaldo scored 2 goals each. The Merengues, who still have one game in hand, recovered the 4th spot in La Liga but are still 19 points behind the league leaders Barcelona. It was a joyful afternoon at the Santiago Bernabéu, one that many home fans have been missing for quite some time. Real Madrid thrashed Deportivo de la Coruña in a 7-1 beating, collected the 3 points and regained the 4th spot in the Spanish League table. Cristiano Ronaldo, who hadn't scored in La Liga since December 9, found the back of the net in two occasions and has now 18 goals for Madrid in all competitions this season. The Portuguese only has 6 goals in the league in this campaign and there's not a single casino or sports bookmaker from Safe Casinos list who managed to predict it in the beginning of the season. Gareth Bale also scored a brace, just like Nacho, the unsung hero of the day. Luka Modric scored the remaining goal for the hosts, who will now host Leganés this next Wednesday, for the Copa del Rey quarter-finals second leg. When Adrian scored in the opening 20 minutes, things seemed especially dire for Real Madrid, the eerie sound of confusion around the Bernabeu likely echoed the cries of Madridistas across the world. 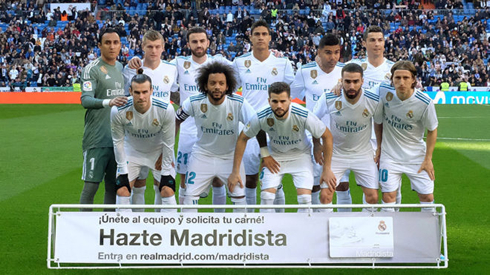 Thankfully, it was but a mere blip in what was a fantastic game for Madrid and one that will ultimately give Zidane the answer to his formation conundrum. In short, Madrid were fantastic today. The 4-3-3 was back and in full flight. Nacho (x2), Bale (x2), Modric and finally Ronaldo (x2). Nacho was particularly important to this match and his goal, just a few moments after Deportivo's opener, calmed the team amd ultimately set the stage for Gareth Bale to score a brilliant curling shot into the top corner around the 35th minute to make it 2-1. Bale was also excellent today. He put Madrid further ahead with a header in the second half, before having a hand in the fourth. His pass to a Ronaldo back flick lead to a Luka Modric shot outside of the box to make it 4-1. Then came the moment that fans around the world were waiting for, a Cristiano Ronaldo goal. It's been a rarity in the league this season and his palpable frustration was clear game after game, including this one when he missed chances earlier. But when he latched onto a cross to put in the 5th, you could see the sense of relief across his face. And his 6th was a header that he literally had to bleed for. 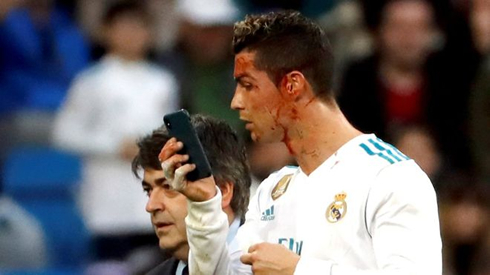 Ronaldo received a nasty blow on the side of his face as a boot connected with the side of his face as he headed the ball into the corner of the net off the post. Nacho closed out the victory with a tidy spin and finish in the box late to make it 7-1, a result that's far more fitting for a club of Madrid's stature. So, again, where does this leave Isco? It will be something for Zidane to figure out. Perhaps Isco can fill in for Benzema at times, or for Kroos or Madrid in midfield, but overall the fact remains that he must play a different role going forward if we wants to see success. But let's be cautious, Deportivo are a poor team in the relegation zone and their defense leaves a lot to be desired. Next week we take on Valencia in the league, which will be a far bigger test of our abilities. Attackers: Bale, Cristiano Ronaldo, Mayoral. 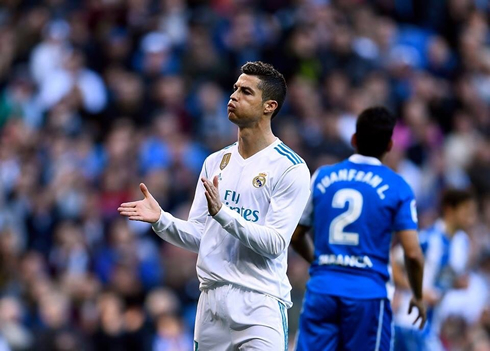 Cristiano Ronaldo next game for Real Madrid is on January 24 of 2018 against Leganés. 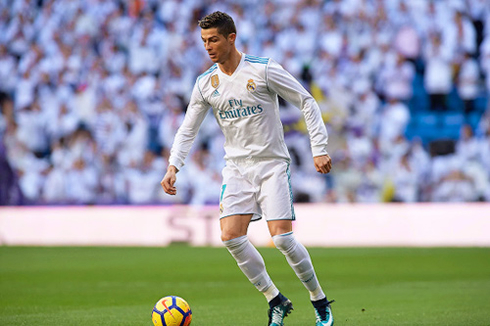 You can watch Juventus live stream, Real Madrid vs Leganés, Sevilla vs Atletico Madrid, Swansea City vs Liverpool, Juventus vs Genoa, and Sporting vs FC Porto, all matches provided from our football streaming game pages.